Microsoft Office provides real cloud based solutions that offload your servers from load and liability. With Microsoft Office 365, you can manage your costs better because there is a simple monthly fee for the services you subscribe to. Save your organization from upgrade costs, certificate costs, backup costs and more. We specialize in Exchange Online where your corporate mail is hosted at Microsoft Office 365 servers giving less load on your network, more flexibility and better uptime. Also available is Office 365 with Microsoft Office Suite that provides Microsoft Outlook, Word, Excel, PowerPoint and Publisher to your business. Microsoft Office 365 is beneficial for any business from 1 to 10,000 employees. We migrate your mail to "The Cloud" and transfer Contacts and make the transition as smooth as possible. We are trained, experienced and ready to implement today. Contact Us and let us perform a FREE site assessment of your network and determine how Microsoft Office 365 solutions can save money and time today. For your home or home business we offer Microsoft Live services. These mail systems allow you to have truly synchronized e-mail, calendar and contacts between you tablets, smart phones, laptops and desktop. Imagine adding your appointment on your phone and having your phone AND laptop remind you of it. We have solutions that offer true synchronization between your devices. Better yet - you don't even have to change your e-mail address! 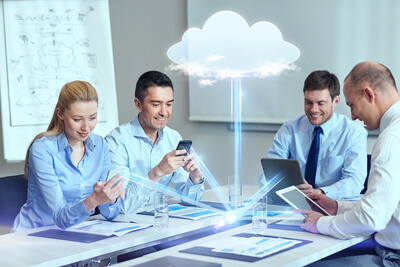 Experience true synchronization and savings with Cloud Solutions from us. Contact Us for more information or call us at 262.662.0811 today!